I have a LOT to say this morning – all if it, extremely important. But first, let’s start, mere hours before the third Miles Franklin Silver All-Star Panel Webinar – which will be posted at milesfranklin.com later today; with this article from one of our distinguished panelists, Steve St. Angelo of the SRS Rocco Report. In which, it details how Peruvian gold and silver production, in the year’s first two months, are down, unexpectedly, by 11% and 12%, respectively, from a year ago. Which is quite the big deal, as Peru is the world’s sixth largest gold producer – and second largest silver producer, right behind Mexico. Which, I might add, is expected by the Silver Institute, when its final figures are published, to have experienced a roughly 3% production decline in 2016 – with no expectations for 2017 as yet published (which I’m guessing, Steve, David Morgan, and Craig Hemke will have an idea about on today’s call). What we predicted in the first two Silver All-Star Panels; the first in October 2014; and the second, in January 2016; is coming to fruition; i.e., the production of silver – unlike nearly all other commodities – is in terminal decline. In gold, even mainstream analysts are finally starting to get it – like Standard & Poor’s, as highlighted in December’s “most important, and gold bullish chart you’ll ever see.” However, in the more opaque silver market, information is far less available – given that not only is it a far smaller market than gold (and thus, not as “interesting” to Wall Street); but because roughly two-thirds of global silver production is the byproduct of gold, copper, and lead/zinc mines. Which is why today’s call will be so informative – as unquestionably, it features some of the world’s top analysts in the global silver industry. Next up, let’s address the wars going on in unprecedentedly rigged financial markets – as the trapped rats I refer to as “the powers that be,” to use a Star Wars metaphor, are “concentrating all firepower” on supporting “desirable” markets like the “Dow Jones Propaganda Average”; and conversely, suppressing “systemic threats” like Precious Metals. To wit, the “200 week moving average war” I have for weeks spoken of – including last month, when it was clear said powers that be had taken it nuclear. 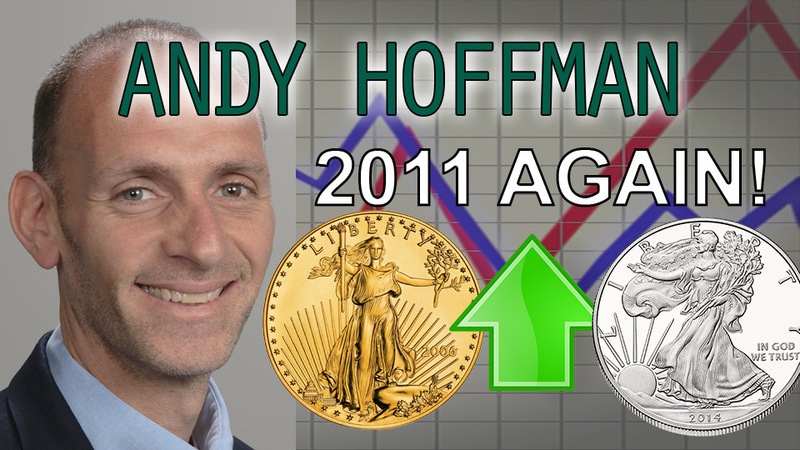 It’s been four years since the Cartel pushed gold and silver prices below those key technical levels; “coincidentally,” the day after the unprecedented “closed door meeting” between Obama and the top “too big to fail” bank CEOs on April 11th, 2013; which just happened to coincide with Goldman Sachs’ April 10th “short gold” recommendation; one day before the April 12th “alternative currencies destruction” paper raids were perpetrated. It was just two weeks ago – four years after said paper raids – when these all-important technical resistance levels were re-breached to the upside; in gold’s case, at $1,246/oz, suggesting this war has been decidedly won; and in silver’s, $18.14/oz. – depicting a war that continues to rage – given that after the past two days’ vicious Cartel raids, this is exactly where silver is trading. Which couldn’t be more apparent the past two days – when, amidst an environment of interest rates and the dollar itself plunging to post-Election lows; as the fraudulent “Trump-flation” propaganda meme continued to experience a death by a thousand cuts; the Cartel had the gall to not only use its time-tested blitzkrieg paper gold dumping strategy on the COMEX – as always, just before the London “fix” at 10 AM EST; but two days in a row! Yes, following Monday’s egregious 2:00 PM “crybaby attack” – when gold, in the wake of the three-day weekend’s horrifying retail sales report and escalating North Korean tensions, was attacked using cover from a meaningless, but blatantly orchestrated Steve Mnuchin speech; the Cartel’s “commercial” partners-in-crime not only dumped $3 billion worth of gold Tuesday morning; but again, with no other markets materially budging, on Wednesday morning – in both cases, as gold was attempting to take out said “downtrend line” at roughly $1,285-$1,290/oz; with the added “bonus” of pushing silver back down to its 200 week moving average, where the aforementioned “war” continues to rage on this morning. Throw in today’s 821st “2:15 AM” attack of the past 939 trading days; this, as the dollar was hitting a new low for the year at 99.49; and you can see just how desperate the Cartel has become – as evidenced, in spades, by holding their largest-ever paper silver short position, despite, as noted above, no visible financial crisis. TRUST ME, this is why they are acting so desperate; as TRUST ME, what happened in the spring of 2011 – when silver rocketed from $20/oz to $50/oz – can, and will inevitably happen again. Only this time, the resulting, potentially historic silver shortages will not be as easy to reverse as in May 2011, when the once-in-a-lifetime “Sunday Night Paper Silver Massacre” was perpetrated. Before I get to today’s principal topic, a quick note about yesterday’s massive, seemingly unprovoked crude oil plunge – by nearly $2/barrel late in the afternoon, nearly taking the world’s most oversupplied commodity back below the $50/bbl “line in the sand” the U.S. government-led “oil PPT” has been defending, to their death, for the past year. Record gasoline inventories, surging shale production, and uncertainty regarding whether OPEC’s fraudulent “production cut” agreement will be renewed next month were cited as the “reasons”; but in my view, it all comes back to “Economic Mother Nature” exerting her will, on a market destined to fall much lower; potentially, for many years to come. In response, OPEC ministers performed their usual jawboning this morning, to prevent said decline from turning into a well-deserved avalanche; but in the big picture, crude oil, like nearly all oversupplied commodities, is destined to violently plunge – taking with it, the hundreds of billions of debts attached to the energy industry; including that of dozens of commodity-dependent nations. Which leads me to todays’ principal topic – which, unless you are willfully ignorant, it is impossible to not see. Which is, said “powers that be” screaming for QE and NIRP “to infinity”; which I assure you, they’ll get – starting with Donald Trump, who not only claims, as often as possible, that the “too strong” dollar is “killing” us, but recently, that he “likes a low interest rate policy.” Throw in Tuesday’s statements from ECB and BOJ Governors Draghi and Kuroda, respectively, of how their unprecedented NIRP and QE programs will be continued ad infinitum – in both cases, because “inflation” is too low for their liking – and it couldn’t be clearer what is about to happen to the purchasing power of your dollars, Euros (if they survive this year’s potentially European-Union-destroying elections), and Yen. Wow, that’s quite a mouthful of uber-dovishness – particularly, his expectation of increasing the Fed’s balance sheet (LOL, whilst we’re told the Fed is considering “unwinding” it later this year) during “future economic downturns.” This, as the, double LOL, third longest “expansion” in U.S. history is on the verge, per the Fed’s own “GDP now” calculations,” of ending. Not to mention, the fraudulent “Trump-flation” meme that was supposed to prolong it. In other words, a blaring red siren signaling the Fed’s true intentions – as if they were ever in doubt. 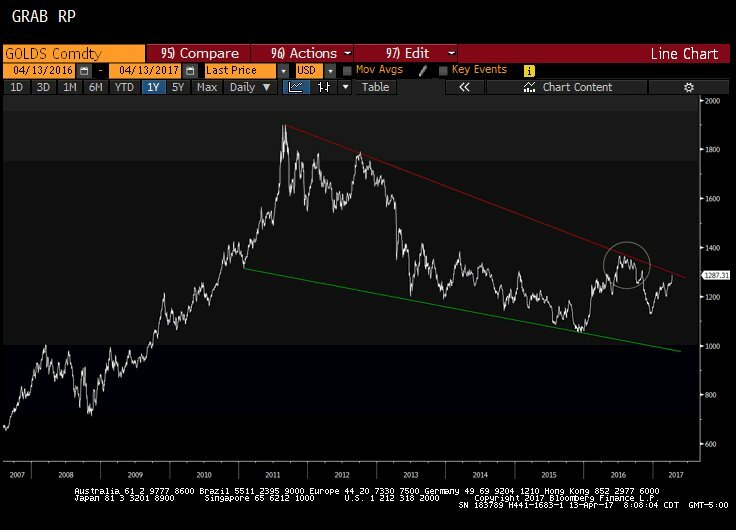 And with it, and even more blaring siren of what’s about to occur in the “anti-Fed” Precious Metal markets – starting with their upcoming, spectacular victories in the “200 week moving average” and “5½ year downtrend line” wars! ← BREAKING & EXCLUSIVE!!! MORE Inside Information from CNN Leaker to VL! !